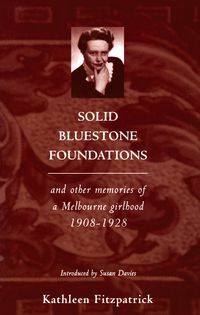 The late Kathleen Fitzpatrick (1908–1990) was born at Omeo, Victoria, and was Associate Professor of History at the University of Melbourne. She was a Fellow of the Australian Academy of the Humanities, and in 1983 was awarded an Honorary Doctor of Laws by her alma mater. Her forty-year correspondence with the late Manning Clark was published by MUP in 1996 as Dear Kathleen, Dear Manning.